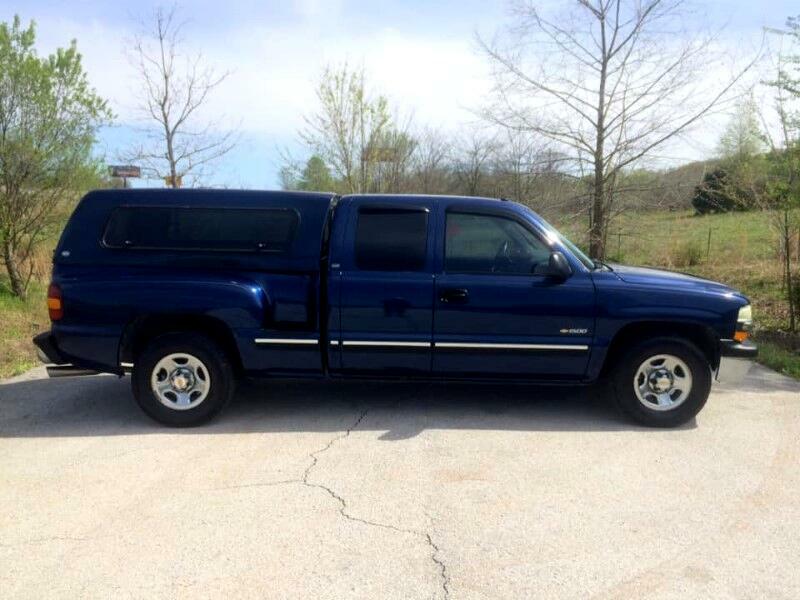 THIS IS A 2000 CHEVY SILVERADO EXTENDED CAB STEP SIDE 2WD CLEAN CARFAX LOCAL TRUCK. THIS TRUCK HAS BEEN WELL TAKEN CARE OF AND RUNS AND DRIVES AS IT SHOULD. IF YOU ARE LOOKING FOR A GREAT OLDER TRUCK THAT WON'T BREAK THE BANK, THIS WOULD BE THE ONE! Visit C&W Motors LLC online at aseat4everybutt.com to see more pictures of this vehicle or call us at 417-850-6418 today to schedule your test drive. All website pricing is cash, any vehicle with special bank financing may incur price increase and certain bank and administrative fees. Message: Thought you might be interested in this 2000 Chevrolet Silverado 1500.